Dr. Elif Guler’s manuscript, “The Symbolic Restoration of Women’s Place in Turkey’s Resurrection,” has been slated for publication in the Spring 2018 issue of Studies in Popular Culture, MLA-listed journal of the Popular Culture Association/American Culture Association in the South. Dr. Guler’s study, which she previously also presented as a Blackwell Talk at Longwood University, focuses on the contemporary popular culture representations of ancient Turkish women. Through William R. Brown’s Rhetoric of Social Intervention (RSI) model, Dr. Guler examines the rhetorical patterns underlying a popular Turkish television show’s attempt to inspire contemporary Turkey with a historical ideal of Turkish society which promoted gender equality and entrusted women with a prominent role in social affairs. The RSI model focuses on the process by which human beings symbolically constitute reality and ideology. Contrary to the typical media representations of historical Turkish women as inferior matrons of the harem (a central trope of centuries-old Orientalist fantasies), the show Resurrection symbolically constructs women as advisors, leaders, peers of men, and warriors. These portrayals are based on the actual Turkish history, adding further value and credibility to this show’s attention intervention. 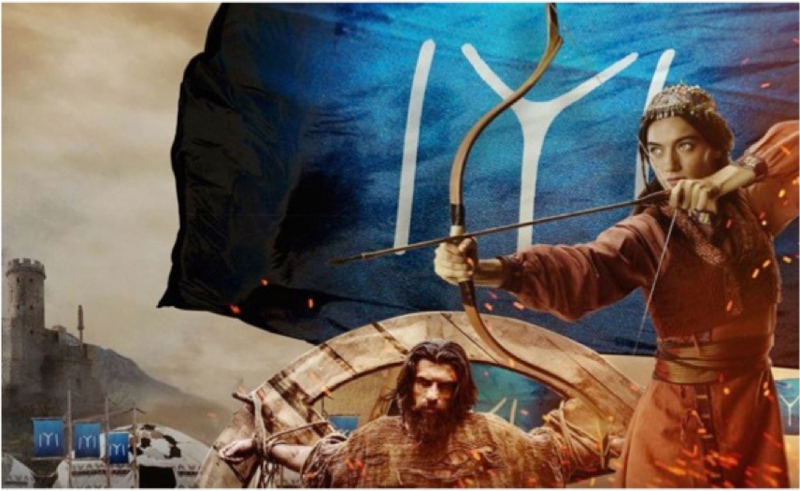 According to historical records, Turkish women knew how to hunt for sustenance and were trained in archery and using a sword, ready to fight their way through armed conflicts and ward off outside threats. The eighth-century Orkhon Inscriptions (the earliest-known Turkish texts) also emphasized the leadership role assigned to women: the male ruler (Hakan) and his wife (Hatun) were equal partners in protecting and governing the Turkic nation (East Side: 10 and 21). The Hatun had administrative privileges and could precede meetings on behalf of the Hakan. By foregrounding the strong agency, skills, and characteristics of womanhood that allude to this history, Resurrection is enacting an attention intervention to recover the conception of womanhood from ancient Turkish tribes and restore women’s equal place in Turkish society—granting contemporary Turkish women a historical and a traditional reference point which can help further justify their current efforts for equal treatment.